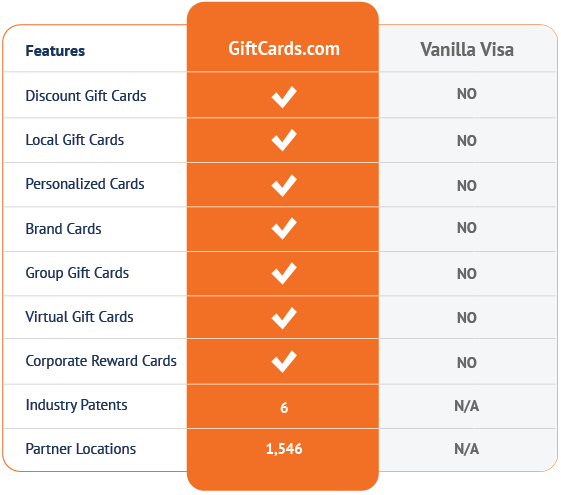 The Vanilla Visa gift card is a generic, open loop prepaid Visa card which serves a similar purpose as cash, only that it is limited by the card dollar amount denomination. 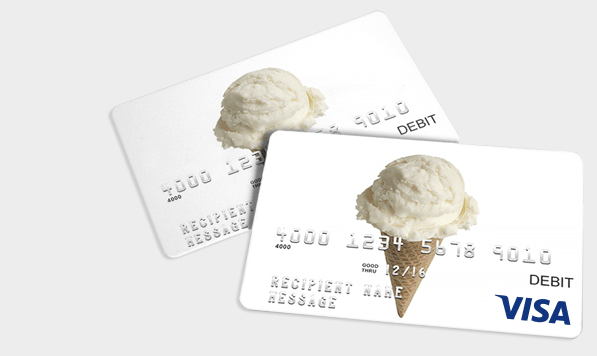 GiftCards.com offers the same Visa open loop prepaid gift card but with the benefits of personalization: you may put any photo or design on the card, you may load any dollar amount (between $20 and $500) on the card, and you can choose any message to be embossed on the card. In addition, GiftCards.com is the one-stop shop for gift cards online, offering discount, personalized, group, branded, and eGift Cards, including the most popular stores, millions of local establishments, open loop Visa and MasterCard® gift cards, and corporate reward and incentive cards.